Beautifully designed concept location with a deep focus on our guest's sense of well-being. With Aveda and Viridian Nutrition we welcome you to an oasis of calm where you can indulge in the sensory world of Aveda, learn about the rejuvenating properties of our plant and flower based formulations and benefit from the herbal power of Viridian Nutrition supplements. Perfect balayage and hair cut...Mirco is very friendly...professional and attentive...Highly recommended.. The window with a view FRISOR SALON Chic Elegant Beauty I went in feeling drab and old and came out feeling & looking like a French chic in Paris. Thankyou Billy and the fabulous team ???? Delese xxxx Love the concept and relaxing open feel of salon. I recently went to Frisor for a hair cut and blow dry and I am really pleased with the overall result and experience. Relaxing, friendly and high quality products, I wouldn't hesitate to recommend Frisor to others. Big thumbs up from me! Thanks Sally, always nice to see you. 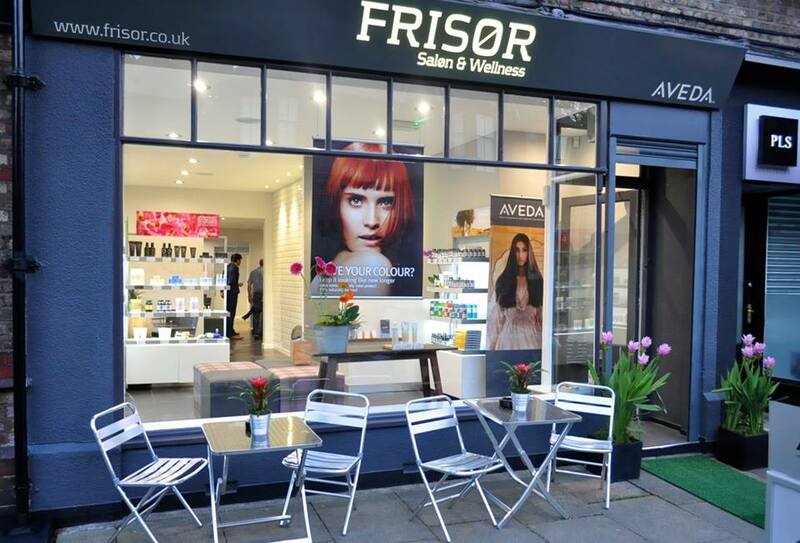 After seeing the reviews online, I just had to try Frisor salon. I was so impressed with the service I received and it was one of the best cut and colours I\'ve had...Just in time for Christmas! Came here for the first time yesterday - the stylist listened to exactly what I wanted and helped me choose a new style, which I'm incredibly happy with. The interior of the salon was lovely and I was made to feel incredibly at home. Thanks Marytn. we look forward to welcoming you back. Fantastic service. So kind , patient, professional and fun. My hair had a full make over and I am extremely pleased with the results . Can't wait to go back . Beautiful salon . Super first visit to Frisor today. Great ambience, much less clinical than most salons and very tastefully designed. Delighted, as always, with cut from Greig - great to have someone who cuts to suit your particular hair type. Its about time someone brought Aveda back to Hale! It was more than just a great cut, I had a really welcoming experience, nice products and even a cheeky head massage. Loved it, thanks guys. Had a fantastic cut with Greig. Aveda products smelled amazing, hot towel with aroma to finish was a lovely touch.